Most of the working population is involved in subsistence agriculture. Agricultural production is constrained by inherently poor soil conditions, lack of surface water sources, land tenure and the geographical scattered nature of the islands. Bubuti occurs when an extended family member in need makes a "non-refusable request" to another family member who has to comply. Non-compliant family members would be shamed and ostracised as they were said to lack compassion. Bubuti can act as a tax on working people and reduce their willingness to invest in business and has damaged economic growth. A cash economy is increasingly replacing the traditional subsistence lifestyle. Education and the church are the two main areas of expenditure. Kiribati covers a vast distance. 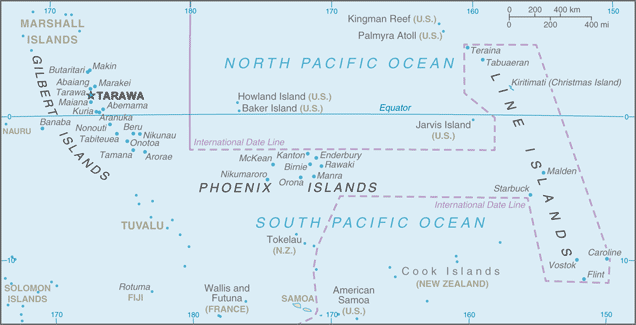 The large distances between the islands means that many people have little access to electronic communications. Kiribati does not have access to a submarine fibre optical cable so must rely on satellite for telecommunication and internet. This increases the cost of communication. 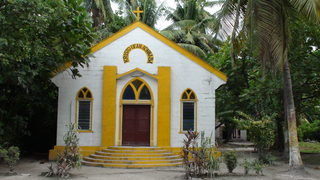 Kiribati is one of the poorest and most remote microstates in the Pacific. 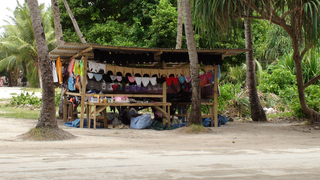 Economic activity in Kiribati is constrained by isolation, limited natural resources and a fragile environment. A large proportion of the population are unemployed. 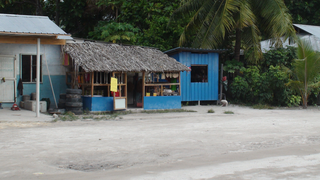 Kiribati relies on imported fuels for electricity generation, transport and cooking. 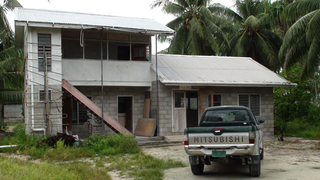 Electricity from the grid serves about half of the households in Kiribati. Solar PV is an important source of energy in outer islands. 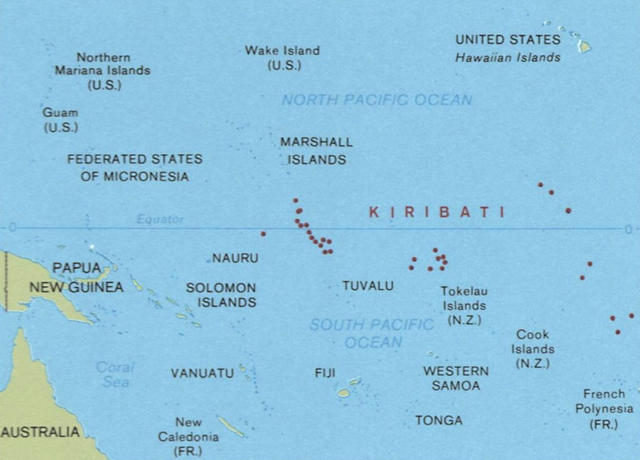 Kiribati is significantly disadvantaged by distance from global markets. This is exacerbated by the dispersion of its many islands. 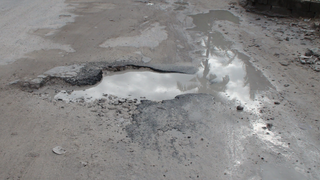 Overall infrastructure in Kiribati is quite rudimentary. The physical infrastructure necessary for economic development - electricity, transport (roads, ports and airports), water supply and sanitation is weak in Kiribati. 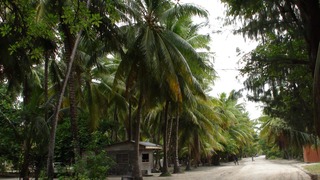 Gaining access to land is one of the major constraints for economic development in Kiribati. Currently, tourism is nearly non-existent in Kiribati. Air transportation presents a major constraint for tourism development as Kiribati is not located on major air routes. Given the geographical dispersion and isolation of Kiribati, transportation is very important for the people and government. 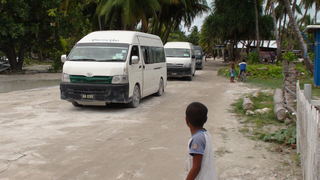 However, running and sustaining a transportation system in Kiribati is very expensive.